CAIRO (AP) — The United States expressed disappointment Wednesday in the release of a Yemeni journalist who rights groups say was detained because of his reporting on al-Qaida and alleged U.S. complicity in attacks in Yemen. Abdelela Shayie was pardoned by Yemen's president on Tuesday after three years in prison on charges he helped al-Qaida and militant U.S.-born cleric Anwar al-Awlaki. Shayie was sentenced to five years in prison in 2011. Washington considers al-Qaida in Yemen the group's most active and dangerous branch. It is linked to several attempted attacks inside the U.S.
State Department spokeswoman Jen Psaki said the United States conveyed its views regarding Shayie's release to Yemen's government. "We are concerned and disappointed by his early release," Psaki told reporters. Shayie, who published interviews with top al-Qaida figures in Yemen, has denied the charges against him. In 2010, Shayie was charged with communicating with "wanted men" and acting as a media consultant to al-Qaida figures, among them al-Awlaki, believed to have been a powerful tool for al-Qaida's recruiting in the West. Al-Awlaki was killed in September 2011 in a U.S. drone strike in Yemen. 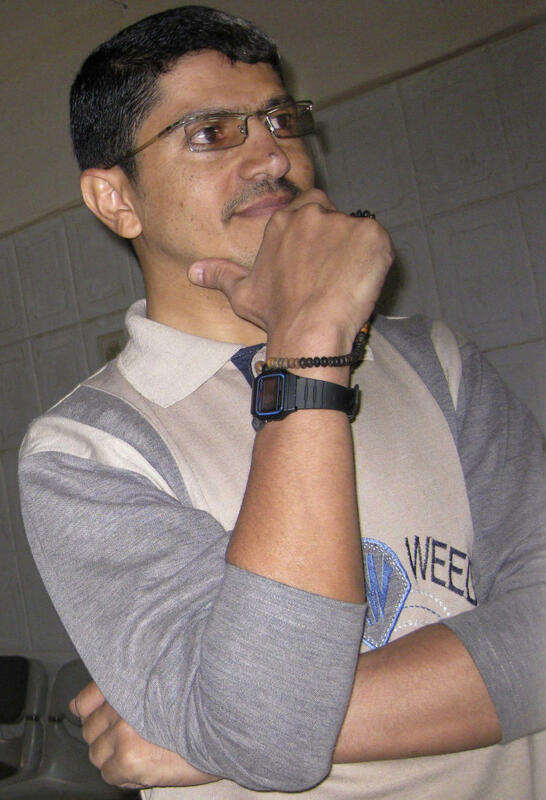 Several months after his trial ended in 2011, Yemen's former president, Ali Abdullah Saleh, issued an order to release him, but President Barack Obama intervened with a phone call urging him to keep Shayie in custody. "Intense political pressure applied by the USA appeared to be a blatant attempt to override the judicial process in another country," said rights group Amnesty International's Philip Luther in a statement Wednesday. Amnesty International called for an independent and impartial investigation into the 2009 attack which Shayie "helped expose." That December 2009 cluster munitions attack killed more than 40 people, including nearly two dozen children, more than a dozen women and 14 alleged members of al-Qaida, according to the rights groups. The Obama administration has not acknowledged a role in the attack. Shayie is not allowed to travel outside Yemen for two years as a condition of his release. Amnesty said he appeared "to be a prisoner of conscience, imprisoned solely for his legitimate work as a journalist." The New York-based Committee to Protect Journalists said Shayie's reporting on al-Qaida was unjustly conflated with working for al-Qaida. The group said Shayie should be allowed to continue working as a journalist without fear of harassment or imprisonment.